The Sidney Crosby Hockey School will not take place this summer. Participants will have two on-ice sessions per day focusing on skating, puck handling and other game related skills. All sessions will be innovative and consist of drills that will be fun and adaptable to the skill level of each participant. 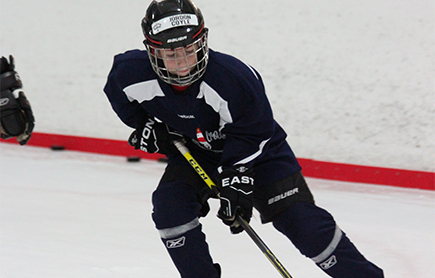 Instructors with a knowledge of the game will integrate teaching into all sessions emphasizing on-ice fundamentals. Participants will have one off-ice development session per day focusing on motor skills work and completing physical tasks. The activities will focus on creating a fun environment where participants will learn the value of teamwork while improving their overall fitness. 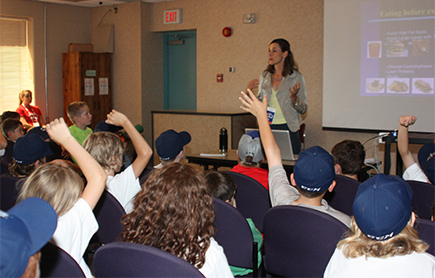 Throughout the week participants will have an opportunity to hear from special guests who will present on a variety of topics relating to the game of hockey. These sessions will aim to provide participants with information to help them both on and off the ice. Churchill Academy offers students the opportunity to succeed academically and socially by developing their self-confidence and by providing the specialized, student-centered education they require to achieve their full potential. The IWK Health Centre cares for critically ill children from the Maritimes. Autism Nova Scotia is a community-based organization that fosters understanding, acceptance, and collaborative approaches for those living with Autism Spectrum Disorders throughout Nova Scotia. Phoenix House is a non-profit, community based organization is Halifax, Nova Scotia. 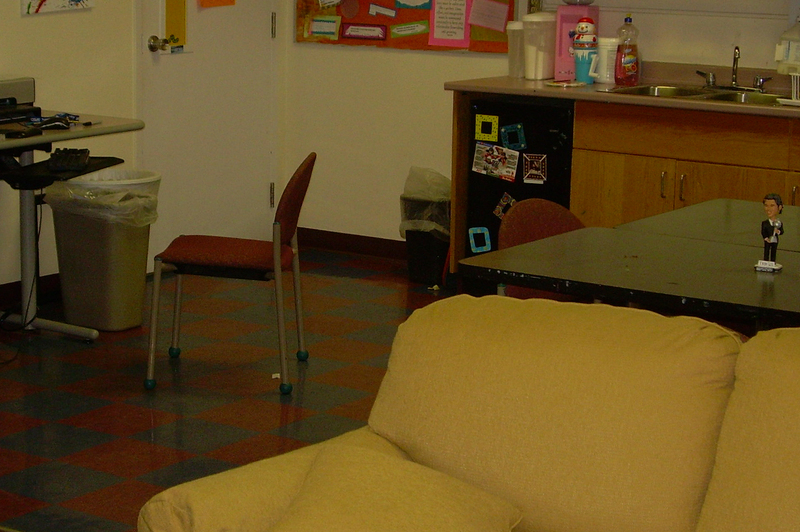 Phoenix House offers at-risk homeless youth (ages 12-24) the opportunity to break the cycle of homelessness and find a better path. Family SOS is a local non-profit, child-centered organization directed toward building strong and healthy families. The Breakfast Club of Canada has embraced a strategy that aims to empower every child to realize their full potential. Besides helping new breakfast programs open in various schools and communities across Canada, the Club is instrumental in driving social change on a larger scale. The Club believes in the importance of providing access to healthy food for children, teenagers and training youths and volunteers, which in turn fosters a broader sense of engagement at the community level. 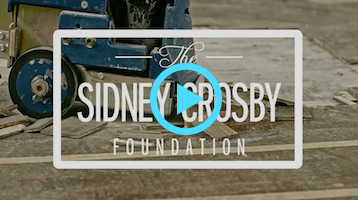 Sidney’s commitment to giving back to his community has extended to Pittsburgh, his home away from home. For the past nine seasons, he has purchased a luxury suite - first at the old Mellon Arena and now at PPG Arena – where he has hosted Big Brothers Big Sisters, Children’s Hospital of Pittsburgh, Boys & Girls Club of Western Pennsylvania, Make-a- Wish, and the Special Olympics, among dozens of other local charities. 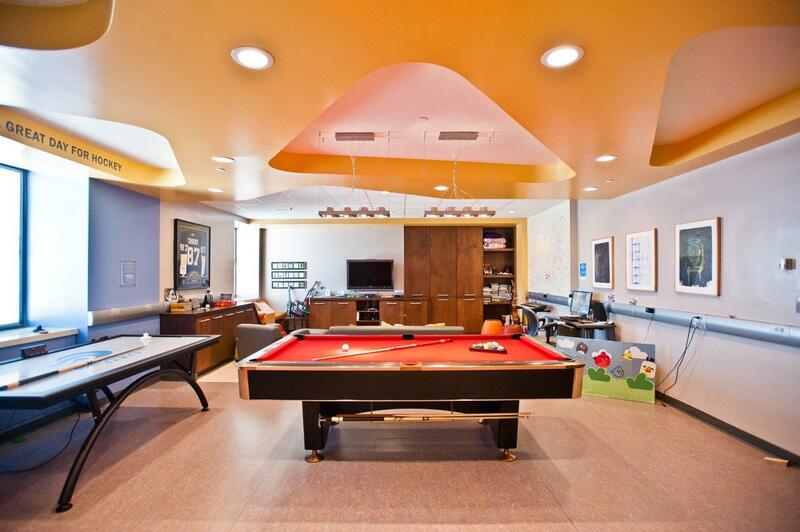 He is thrilled to be able to give hundreds of children the very exciting and unforgettable experience of watching a live NHL game from the comfort of this suite. Sidney is proud to be a major sponsor of the Little Penguins Learn to Play Hockey Program, which began in the 2007-08 season. The program introduces boys and girls aged 4-8 in the greater Pittsburgh area to the greatest game on earth. For a marginal fee ($150) the young skaters receive head-to- toe equipment and ten hours of on-ice instruction. More than 6,000 children have participated in the Little Pens Program to date. Since 1980, Joe Lamontange’s home has served as the site for the annual March Break Memorial Tournament. Cole Harbour plays host to nearly 200 teams from all divisions, novice to midget. As a Cole Harbour Wing, Sidney was always eager to play in the tournament and a very enthusiastic participant in the shootout. Since 2010-11, Sidney has happily sponsored the shootout competition for all divisions. Each player that competes in the shootout receives a Sidney Crosby Shootout pin. Winners and runners-up have won medals, plaques, hats, clothing, and sticks donated by Sidney. The Sidney Crosby Shootout is a fan favourite event and continues to be a highlight for all those who take part. Sidney Patrick Crosby (ONS) was born on August 7, 1987 in Halifax, NS and raised in Cole Harbour, NS. He currently serves as captain of the Pittsburgh Penguins in the National Hockey League. Crosby was drafted first overall by the Penguins in the 2005 NHL Entry Draft out of the Quebec Major Junior Hockey League. During his two-year major junior career with the Rimouski Océanic, he earned back-to-back CHL Player of the Year awards and led his club to the 2005 Memorial Cup final. Crosby began playing hockey at the age of 5 with the Tim Hortons Tim Bits program in Cole Harbour. He spent his minor hockey career, from novice to bantam, playing for the Cole Harbour Wings Minor Hockey Association. During his midget AAA season with the Dartmouth Subways, he led the team to a silver medal at the prestigious Air Canada Cup National Midget Championship. He was awarded tournament MVP after earning the honors of top scorer as an underage (14 years old). The following season, he left home to attend Shattuck St. Mary School in Faribault, MN. During his year at Shattuck, he led his team to the USA U18 National Championship. From Shattuck, he was drafted first overall in the QMJHL Draft by the Rimouski Océanic. In his first NHL season, Crosby finished sixth in league scoring with 102 points (39 goals, 63 assists) and was a runner-up for the Calder Memorial Trophy. By his second season, he led the NHL with 120 points (36 goals, 84 assists) to capture the Art Ross Trophy, becoming the youngest player and the only teenager to win a scoring title in any major North American sports league. That same season, Crosby won the Hart Memorial Trophy as the Professional Hockey Writers Association’s choice for most valuable player and the Lester B. Pearson Award as the NHL Players Association’s choice for most outstanding player, becoming the seventh player in NHL history to earn all three awards in one year. Crosby started the 2007–08 season with Pittsburgh’s captaincy and subsequently led them to the 2008 Stanley Cup Finals, where they were defeated by the Detroit Red Wings in six games. The Penguins returned to the Finals against Detroit the following year and won in seven games; Crosby became the youngest captain in NHL history to win the Stanley Cup. In the 2009–10 season, Crosby scored a career-high 51 goals, tying him with Steven Stamkos for the “Rocket” Richard Trophy as the league-leader; with 58 assists, he totaled 109 points, second in the NHL. During the off-season, Crosby received the Mark Messier Leadership Award. In the 2012-13 season, Crosby received the Ted Lindsay Award, given to the NHL’s most outstanding player as voted on by the members of the NHLPA. The 2013-14 season culminated in an award hat-trick where Crosby was the recipient of the Art Ross Trophy, Hart Memorial Trophy and the Ted Lindsay Award. In the 2015-16 Crosby captained the Penguins to the 2016 Stanley Cup Finals where they defeated the San Jose Sharks to give him his 2 nd Stanley Cup. Crosby was also named the 2016 Conn Smythe Trophy Winner as the playoff MVP. Internationally, Crosby has represented Canada in numerous tournaments for the country’s junior and men’s teams. After competing in the 2003 U-18 Junior World Cup, he represented Canada in back-to- back IIHF World U20 Championships, winning silver in 2004 and gold in 2005. At the 2006 IIHF World Championship, he led the tournament in scoring, while also earning Top Forward and All-Star Team honours. Four years later, Crosby was named to Team Canada for the 2010 Winter Olympics in Vancouver. Playing the United States in the gold medal game, he scored the game-winning goal in overtime. He then captained the 2014 Canadian Olympic Hockey Team at the Sochi Olympics, leading the team to a second consecutive Olympic Gold Medal victory over Sweden. In 2015, he captained Team Canada to a gold medal at the IIHF Men’s World Championship, and became a member of the Triple Gold Club by winning the IIHF World Championship, Olympic Gold, and the Stanley Cup. To date, Crosby is the only member of the Triple Gold Club who served as Captain of each respective team. He captained champion Team Canada at the 2016 World Cup of Hockey and was elected tournament MVP by unanimous vote. In addition to his other achievements, Crosby captained team Nova Scotia in the 2003 Canada Games. The Lou Marsh Memorial Trophy, awarded annually to Canada’s top athlete, was presented to Crosby in 2007 and 2009. During those same years and again in 2010, he earned The Lionel Conacher Award, presented to the Canadian Male Athlete of the Year as voted on by the Canadian Press. In 2016, he won another award unlike any that he had previously won. Crosby became an Emmy Award Winner for his role in “There’s no place like home with Sidney Crosby” which was produced during the first year of his hockey school. 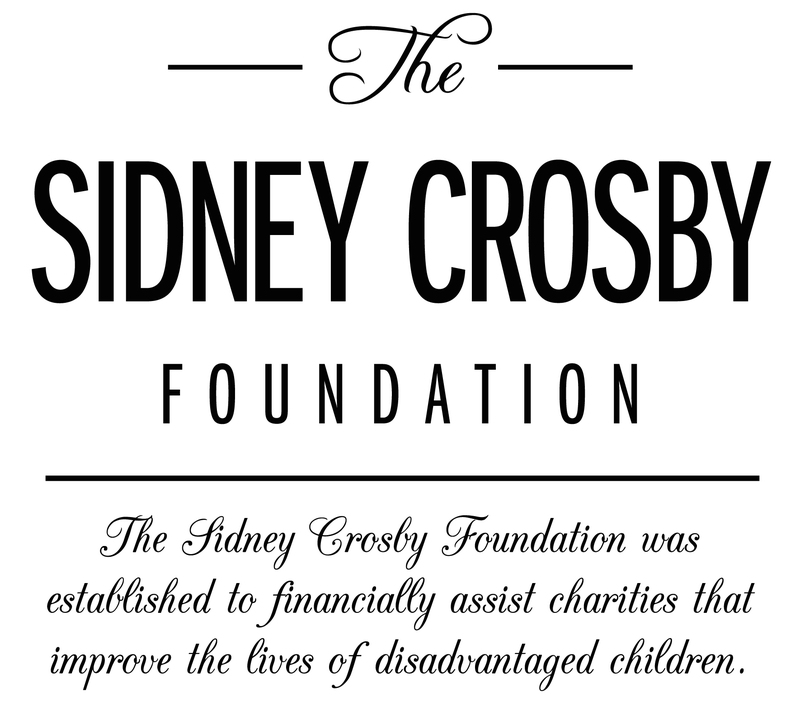 The net proceeds raised by the Sidney Crosby Hockey School will be paid to The Sidney Crosby Foundation, a registered charity. 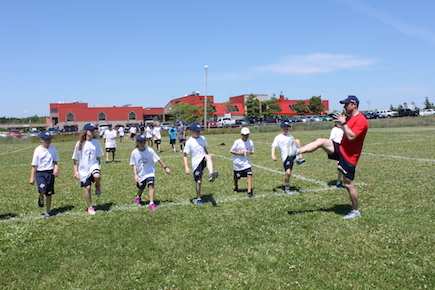 However, as the registration fees for the Hockey School are not a charitable donation, no charitable donation receipts will be issued to registrants by the Hockey School or the Foundation in respect of the registration fees.